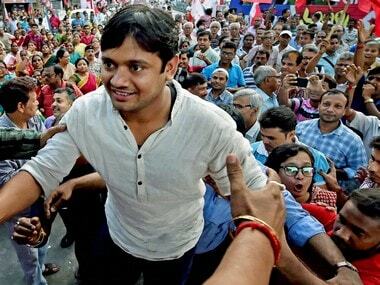 Janata Parivar: Can 'socialist' Mulayam and co stop the Modi wave? Some fragments of the erstwhile Janata Parivar are merging once again to form a new political party. Though the name of the new party has not yet been announced, whether it would retain the Janata Dal name, or be called Samajwadi Janata Dal or something else is not known but what looks certain for now is that Mulayam Singh Yadav, the senior most 'socialist' would be the 'titular' leader - an intent to that effect was announced by JD(U) leader Nitish Kumar after a luncheon meeting at Samajawadi Party chief’s residence. Will the Janata Parivar pose a threat to the BJP that's on a Modi wave? Though Nitish claimed that the purpose of creating a new socialist political entity would be to present a national alternative, it does not need any guessing that its immediate and real perspective would be focussed on the upcoming Bihar elections, scheduled in October-November. The longevity of the new political party, whatever shape it may take, would depend on how it performs in that election. Its biggest challenge would be to stop BJP from winning a substantial number of seats and gaining power in Bihar. The Congress is already part of the existing alliance between JD(U) and RJD in Bihar and Jharkhand. Mulayam for now has been announced as the leader of the proposed political entity but it is anybody’s guess where and how far would his writ run. The SP chief can, however, can be content about the political attention that he is receiving and the opportunity he gets to be a gracious host to some of his erstwhile political friends-turned-foes-turned-friends again. Merger or demerger of the Janata Parivar constituents is a process that periodically takes place, after a gap of every few years. But a merger of this kind is perhaps taking place for the first time since 1988 when Janata Dal was formed through the merger of Janata Party factions - Lok Dal, Congress (S) and VP Singh's Jan Morcha. Since then, Janata Dal subsequently splintered into SJP, SP, BJD, INLD, RLD, RJD, JD(U), LJP and others. Faced with a challenge from Devi Lal, VP Singh had then brought out the Mandal Commission recommendations (reservations for backward, scheduled caste, OBCs) thereby allowing Lalu, Mulayam Singh Yadav, Nitish Kumar, Sharad Yadav and others to subsequently thrive on 'Mandalite politics', consolidation and the empowerment of OBCs. Now that they are all coming together, some call it Mandal Part-II or the making of a 'Rerun of Mandalites'. But then there is a difference. Narendra Modi has effectively hijacked the OBC plank from them and has become the first Prime Minister of the country from the under privileged community. They are, thus, not talking of marginalisation of the OBCs, at least overtly. The advent of Modi on the national political scene and the manner in which he is spreading his own and his party’s influence has changed it all. Faced with an apparent existential crisis, their view towards each other has also changed. The Lohiates or Samajwadis, whose political ideology was so far basically rooted in anti-Congressism, has now turned into anti-Modism. 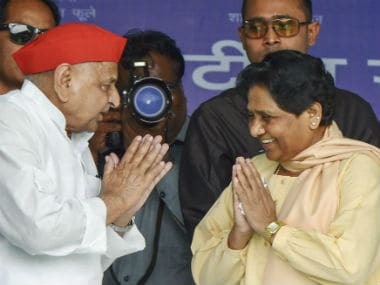 A leader, who is a strongly in favour of merging the erstwhile Janata Parivar and who also attended Thursday's luncheon meeting at Mulayam Singh Yadav’s residence told Firstpost: ye hamare jan bachao abhiyan ka hissa hai (this is part of our save life campaign). Nitish Kumar, who had severed ties with the BJP on a singular anti-Modi plank, had to swallow his pride and enter into an alliance with RJD chief Lalu Yadav. Furthermore, he now has to merge his party with the RJD, SP and INLD. The strength of all these parties taken together in Lok Sabha is 15 but in Rajya Sabha it goes up to 30. A Nitish supporter was of the view that though the former Bihar chief minister's immediate attention would be returning to power in Bihar, he is also playing a long term political card. He's the youngest of the lot (Mulayam, Lalu, Sharad, Chautala and Gowda) and is also perceived to be clean and articulate. The Congress too considers him to be a leader on whom they could pin their hopes in Bihar as well as outside to challenge Modi. He will thus be the natural leader to lead alternate political formation should such a situation emerge in the future. But then the new political outfit will have to survive for that long and also emphatically win the Bihar elections. 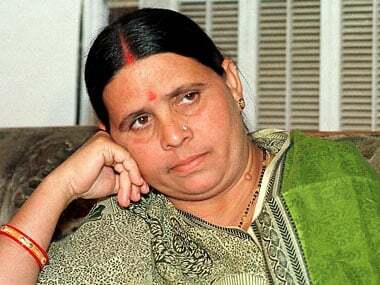 As of now, there is a fear that the powerful Yadavas community in Bihar would desert Lalu’s RJD and turn to BJP. A similar desertion of support could also take place with the JD(U). A mere alliance was not enough, as Lalu and his clan could well turn around and play opposition in a post poll scenario. 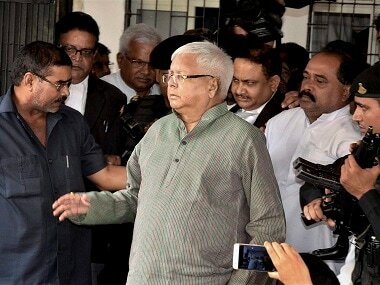 For now, though, Lalu is debarred from contesting elections due to his conviction in the fodder scam. In Uttar Pradesh, the non-Yadav OBC community had shifted their support to the BJP, a move that had Mulayam realise that he needed additional strength if he wants to win back substantial support from that community. They now hope that they would get en-bloc support of the Muslims because they will have no other option but to choose between them and the BJP. While it all sounds good arithmetically, the key question is whether the chemistry would work with the electorate at large when the time comes. Of the five parties that propose to merge, three (SP, JD-U, RJD) are led by Yadavas, one (INLD) by a Jat and the other (JD-S) by a Vokaliga. The critical question is will a party, so heavily dominated by Yadavas, be able to attract non-Yadav OBCs? For now though, the socialists have planned a show of strength in Delhi on 22 December, a day ahead of the closure of Winter Session of Parliament. Everyone would then be counting numbers, of those on the dais and in the audience. 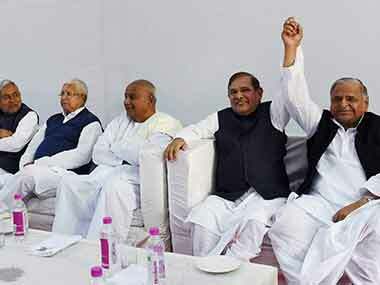 1Janata Parivar: Can 'socialist' Mulayam and co stop the Modi wave?